This liner lock folding knife is available for sale This liner lock folder has a damascus blade and carved stainless steel bolsters. The handle is made from tiger coral. This folder has heat colored liners and a heat colored back bar. I do take orders on a very limited basis and I fill them as time in my schedule permits. I will be posting knives on here for sale so please sign up for my newsletter. Thank you for your interest. I really do appreciate it. 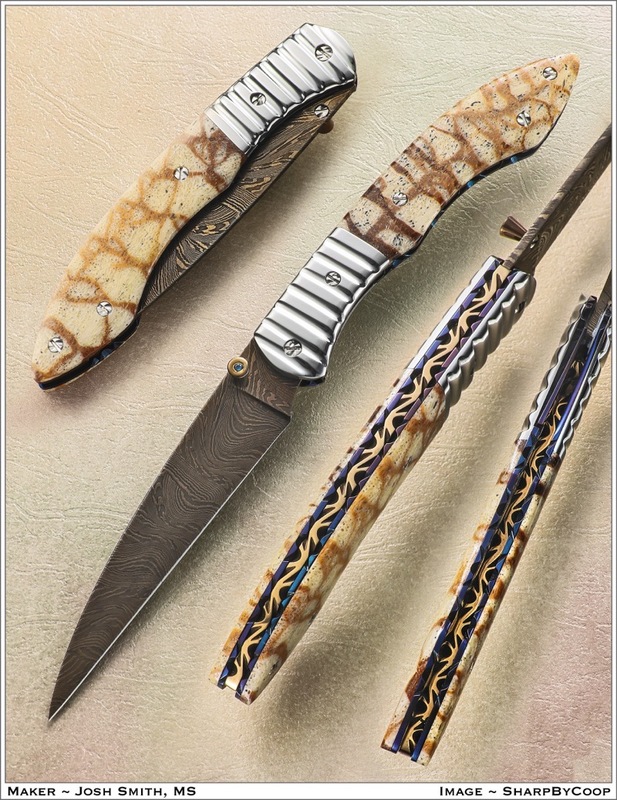 Joining my newsletter list is the best way to find out when I have new knives available for sale. I use constant contact as my email service which allows you, the subscriber, to opt out any time. Please join my newsletter list below.